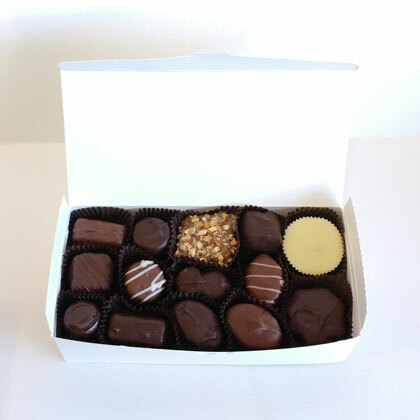 Assorted gift box of half pound gourmet sugar free chocolates. Photo shows .5 lb and 1 lb box each with two layers of goodies. Showcase boxes available with free gift wrap. Add request to notes section when placing order. The staff here was great. Answered my email quickly and sent my order promptly. My dad loved the candy til I told him it was sugar free. Some people just can't get past preconceived notions. Hopefully, great places like this can change that.